Complete a truly professional looking installation with matching bamboo vents. These are top mount vent covers for use with 4 in. x 10 in. air ducts. Product is made with eco-friendly Moso bamboo. Buy online Islander Carbonized 4 in. x 10 in. 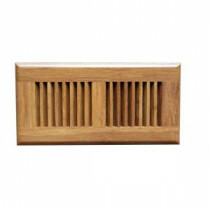 Strand Bamboo Vent Cover SC4-10C, leave review and share Your friends.